Dare I call these breakfast cakies? 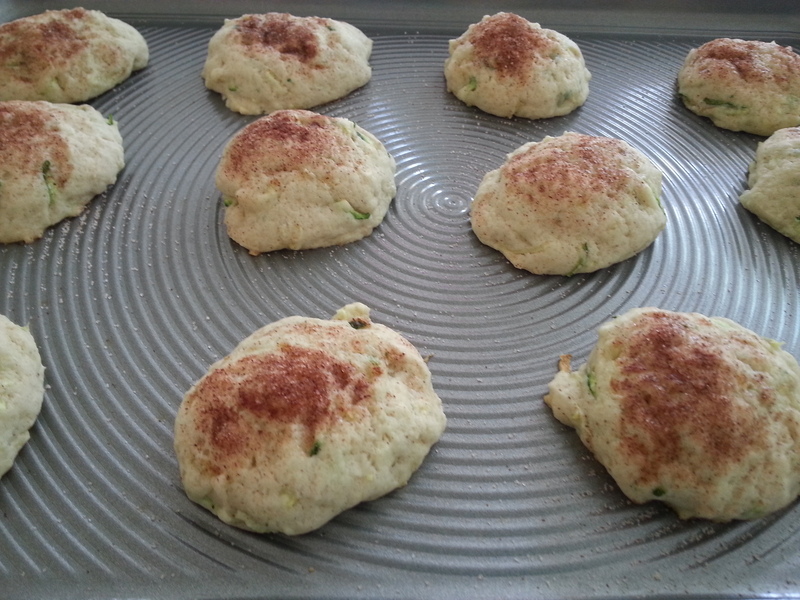 Well, they remind me of zucchini bread. 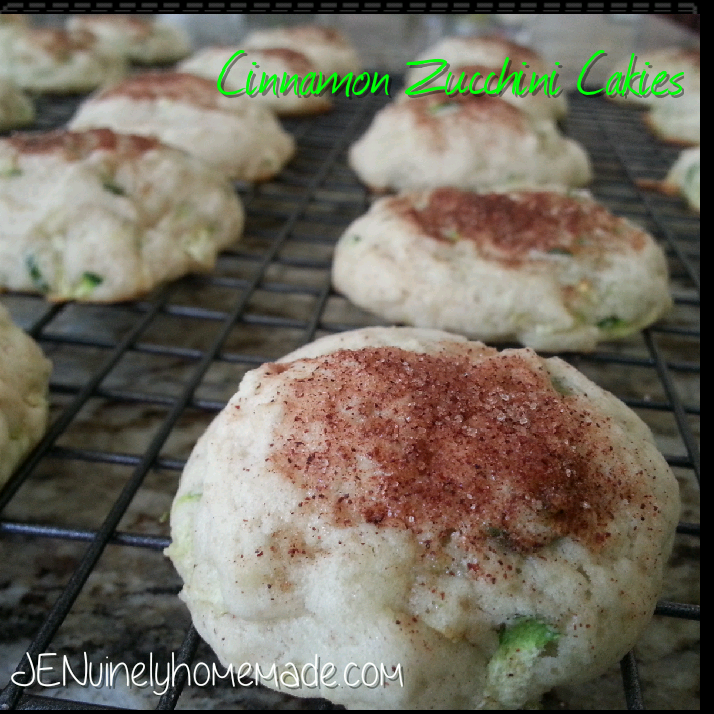 Scrumptious bite sized morsels of zucchini bread. Which is very appropriate to eat at breakfast time. I know one thing for sure. I ate these for breakfast and I also ate them for dessert. So I guess they’re versatile cakies. I’ve been doing some baking experimenting and I’ll tell you this. It for once, hasn’t ended in disaster. Which is amazing considering my track record. I’m not saying I’m going to open up a bake shop or anything but still, it’s a small victory for me! And these cakies were one of my experiments that ended with a full tummy. Because I stuffed my face when these things cooled off. Breakfast? Dessert? 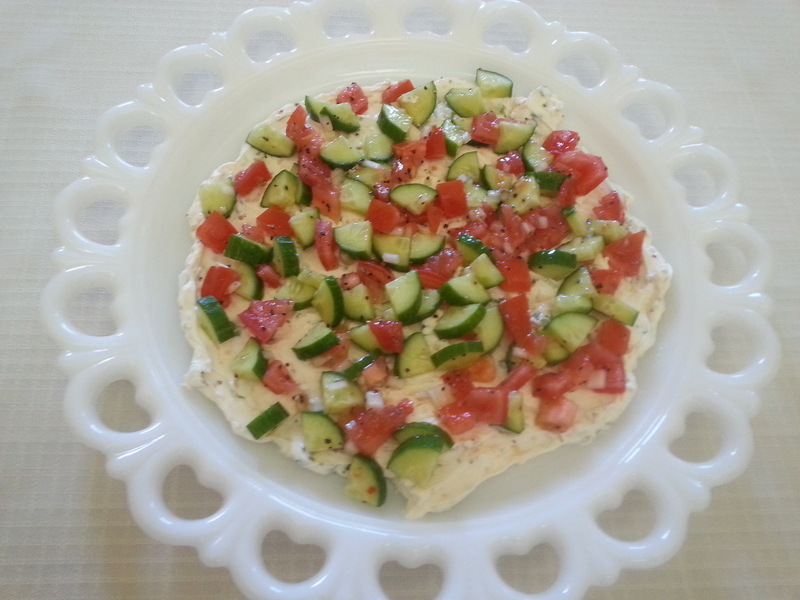 A snack when your kids aren’t looking? It doesn’t really matter because these things are purty darn good ANY time of day! And they can’t be too bad for you, right? I mean, they have vegetables in them! So have at it!! P.S. They’re delicious with a cup of coffee. Preheat your oven to 350. 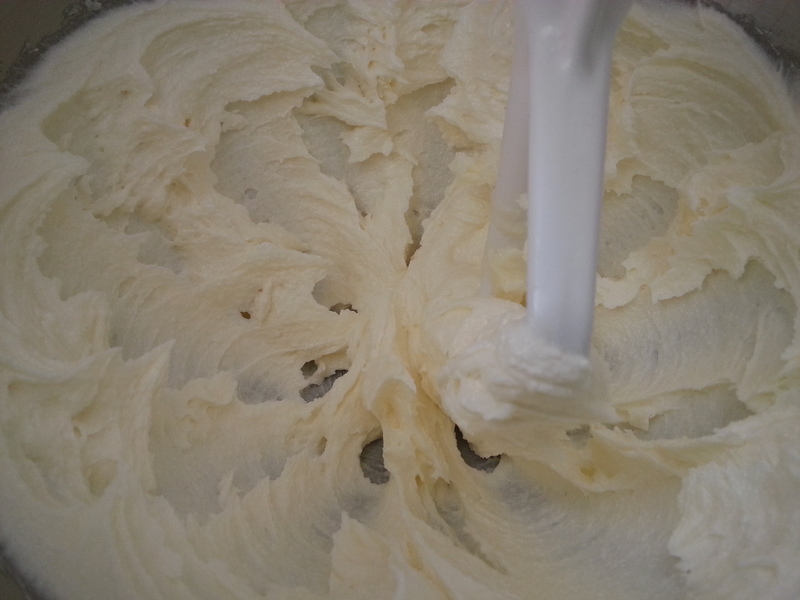 In a stand mixer, add the butter and sugar and mix until fully combined. 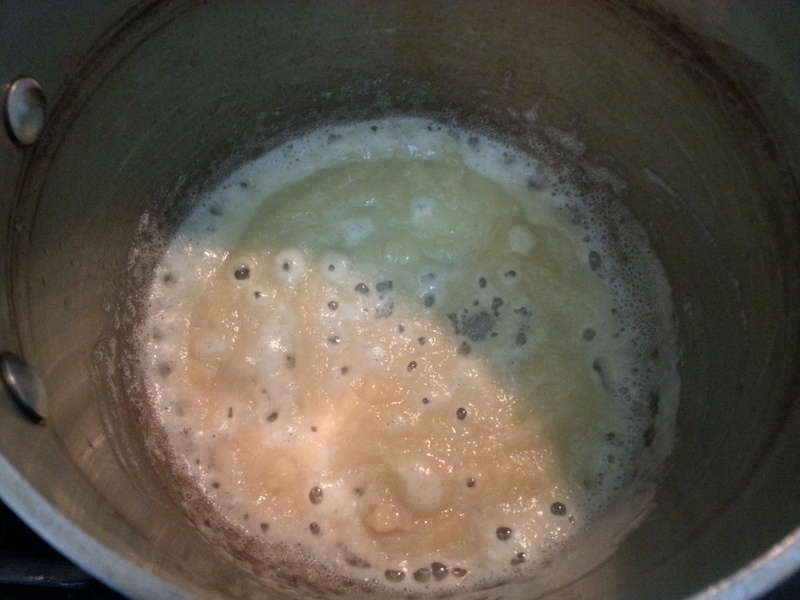 Add the eggs and vanilla and mix together. 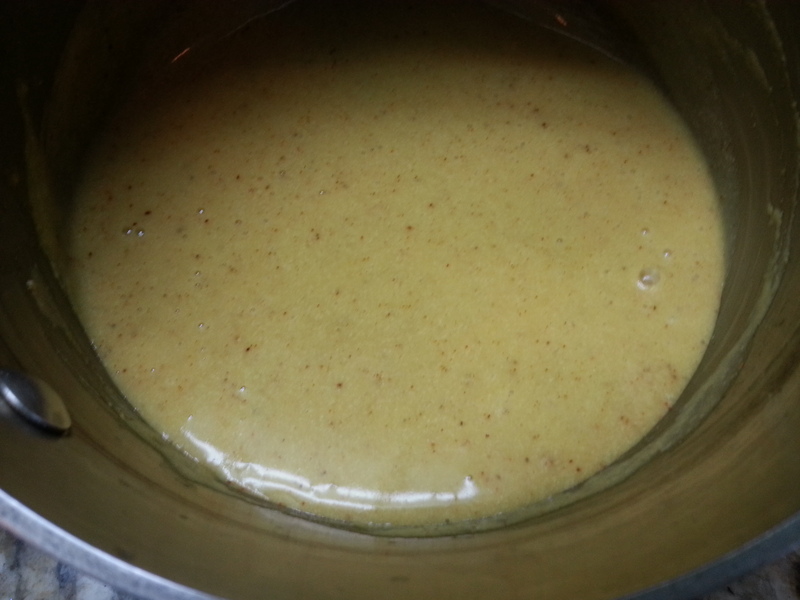 Then add the baking powder, cinnamon and salt. Mix. 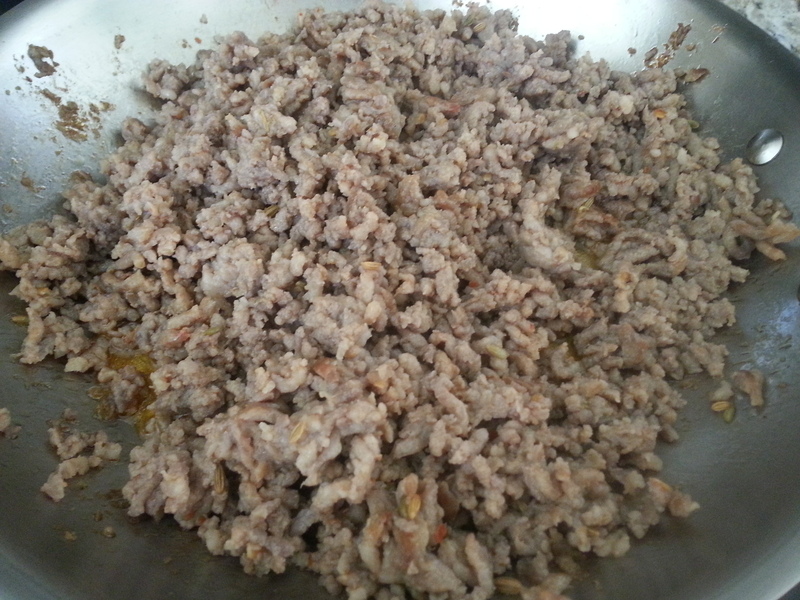 Add the flour 1 cup at a time, mixing just until combined. 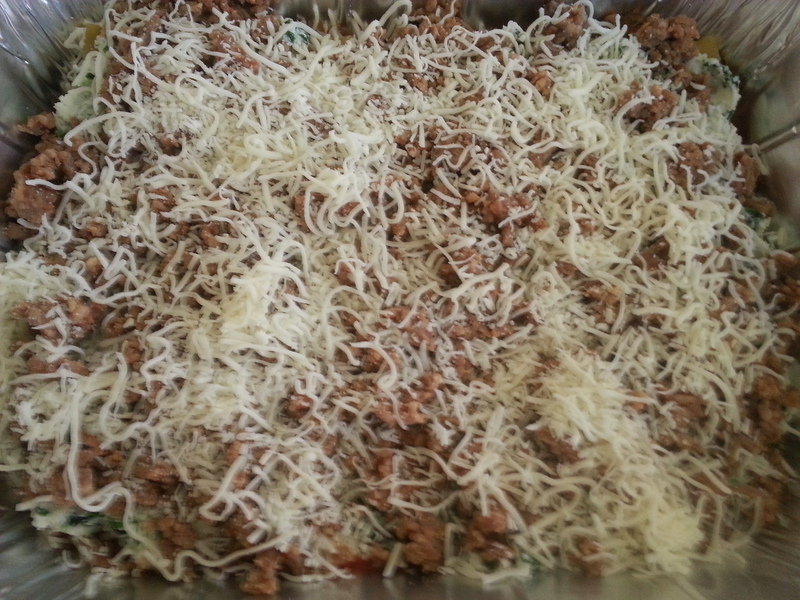 Add in the shredded zucchini and mix again until combined. 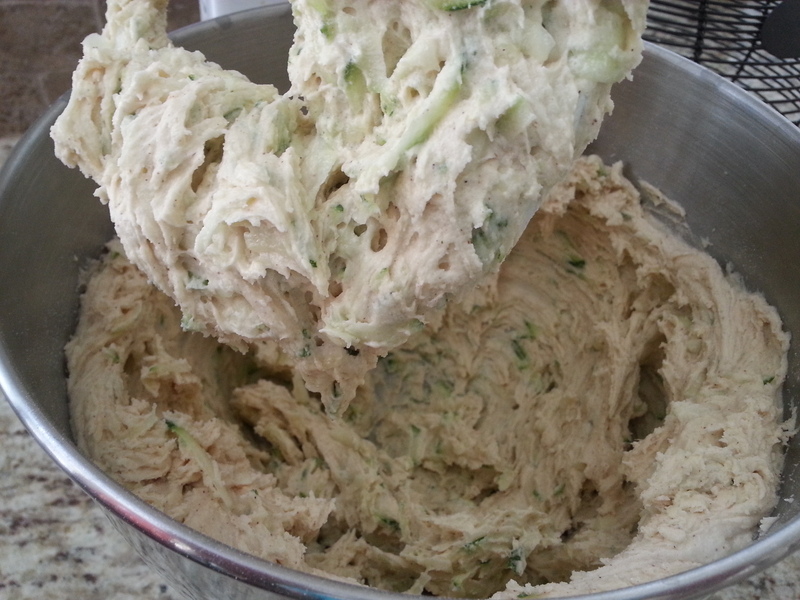 Using a cookie scooper, scoop the dough and place the cakie dough balls onto a baking sheet. 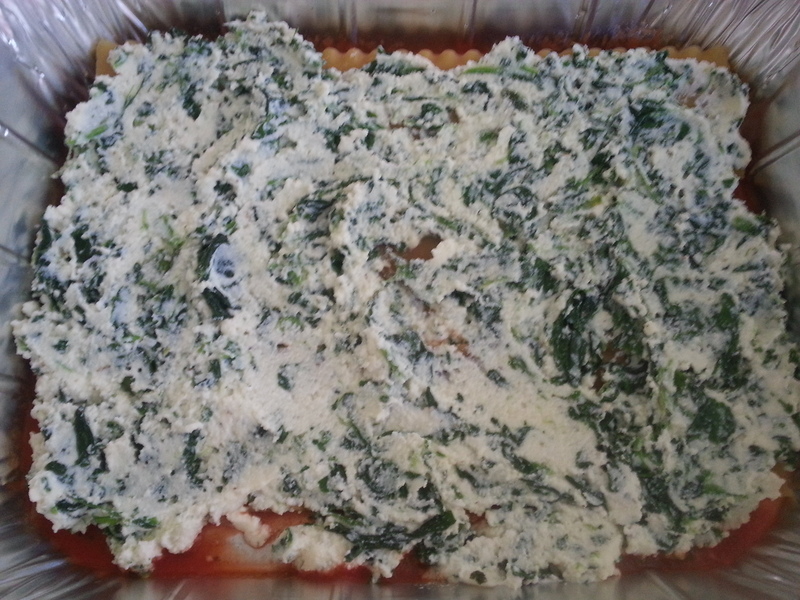 (If you have old baking sheets like I used to, I’d recommend spraying them with cooking spray. But if you’ve got nice new ones, leave them ungreased.) Using a spoon, sprinkle the cinnamon sugar mixture over the top of each cakie. 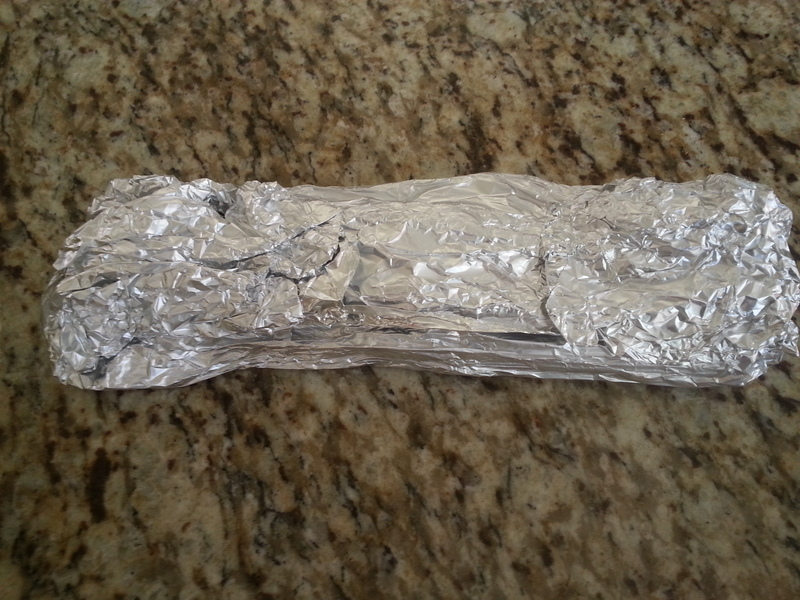 Bake for 10-12 minutes, or just until the underside of the cakie turns slightly golden. These cakies do not get golden on top. 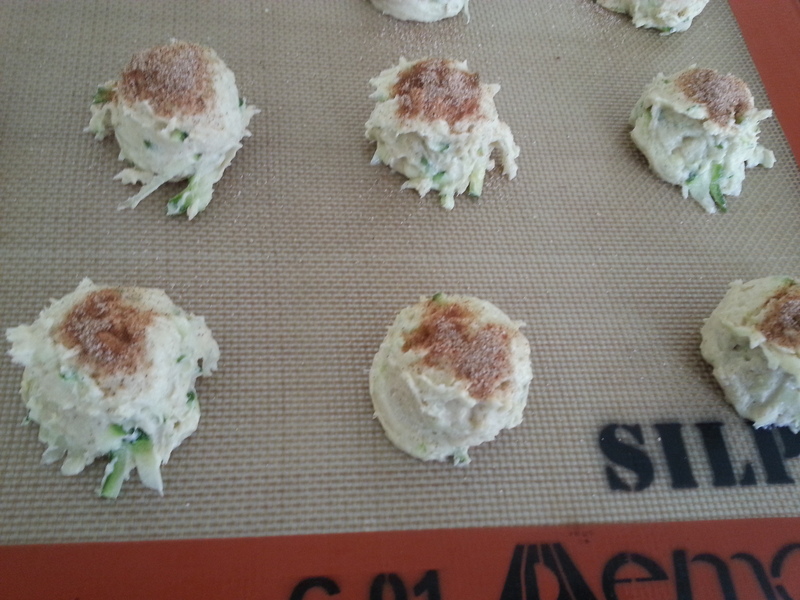 Leave on the baking sheets for a few minutes, then transfer to a cooling rack. When cakies are completely cooled, place in an airtight container. So after these had all cooled off, my youngest daughter got the first taste since the other girls were at school. She liked them so much that she told my other kids this when they got home. “Mommy made something with disgusting green stuff in it but they’re really good!” She has a way with words, that little girl of mine. This is a quick dinner (or lunch) that’s a nice change from your regular ole’ cheese quesadilla. 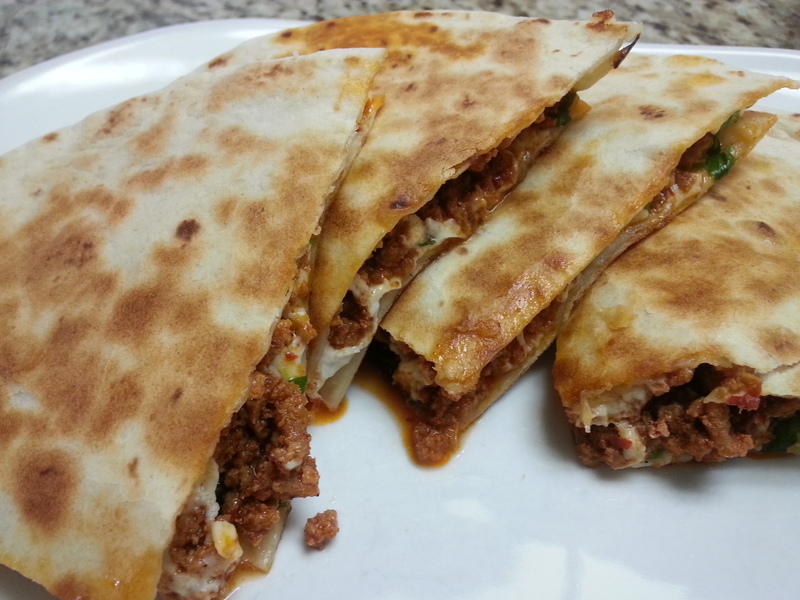 And even though this recipe only has a few ingredients, I consider these quesadillas unique since I veered away from the standard cheddar cheese and instead used queso fresco. It’s crumbly, mild and goes great with the chorizo. I recommend making your own chorizo but if you don’t have the time, store bought works in a pinch. But seriously, don’t let my chorizo recipe scare you off. It’s really easy! And for awhile there, I was scared of store bought chorizo since someone told me it was full of nodes and lips and all kinds of parts I wasn’t interested in eating. BBBUUUTTT, I’ve found that certain markets make some pretty clean and straight forward versions (minus the nasty parts) right there in the store, so ask your meat guy if you don’t have the time, or inclination, to make your own. 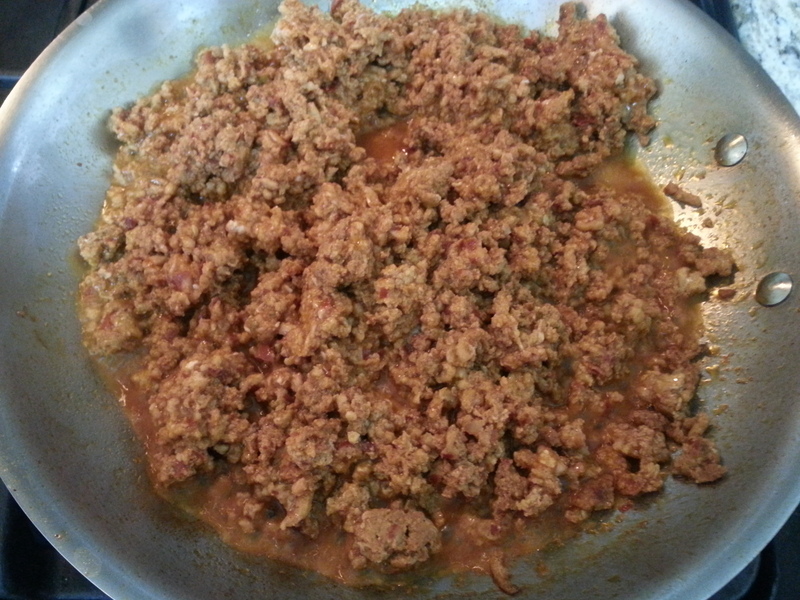 In a skillet over medium to medium high heat, cook the chorizo until crumbly and no longer pink. Drain off grease and set aside. 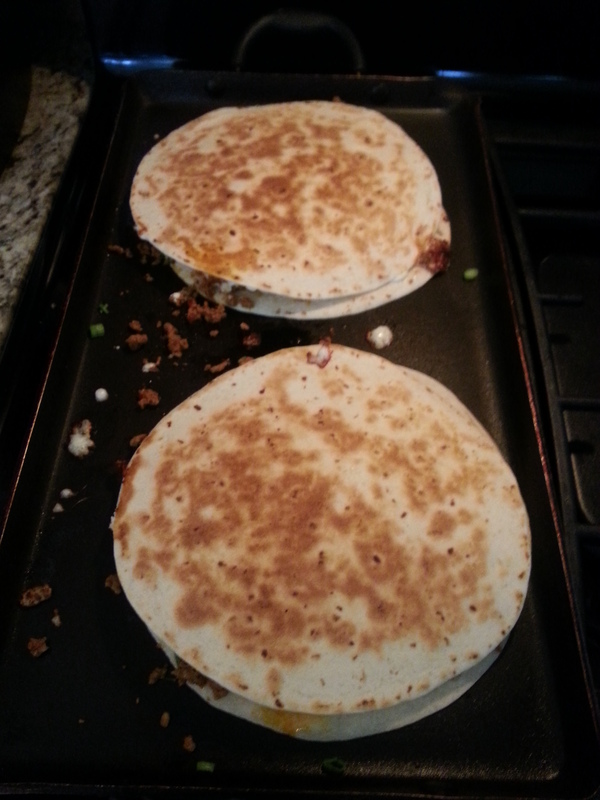 In a non stick pan or a griddle (I prefer using the griddle since I can fit way more food on it) lay a tortilla down. 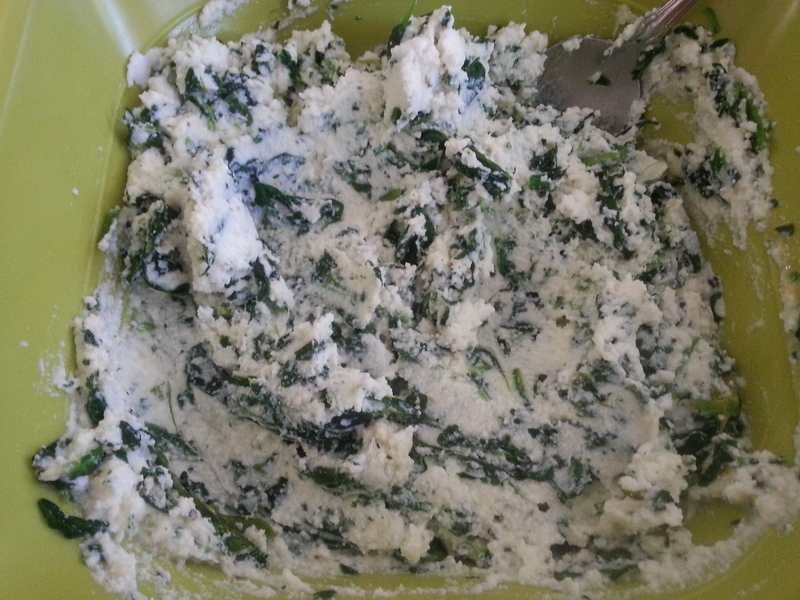 Add some queso fresco, then chorizo, green onions, cilantro and more queso fresco. Make sure to divide all the ingredients evenly among the three tortillas. Lay another tortilla on top and turn the heat on medium. 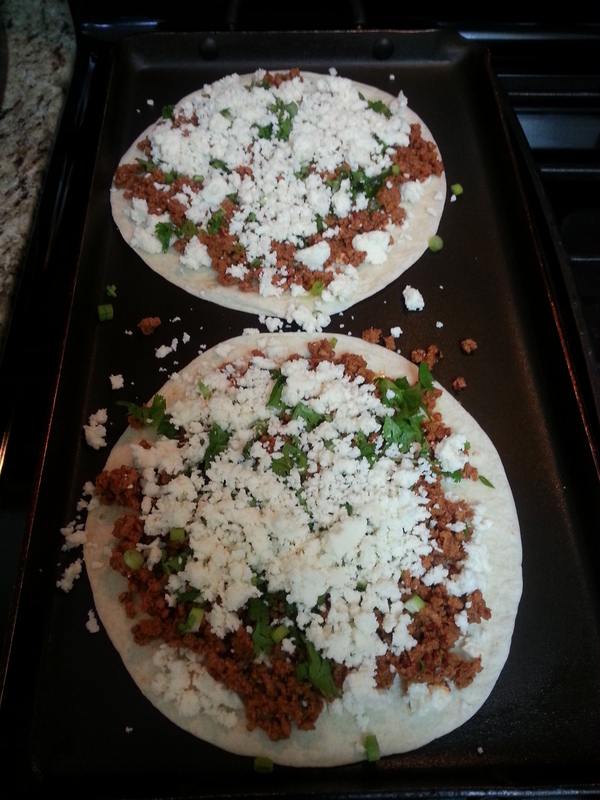 Let cook for several minutes or until the underside of the tortilla is brown and crisped up. Flip over and cook for a few more minutes. 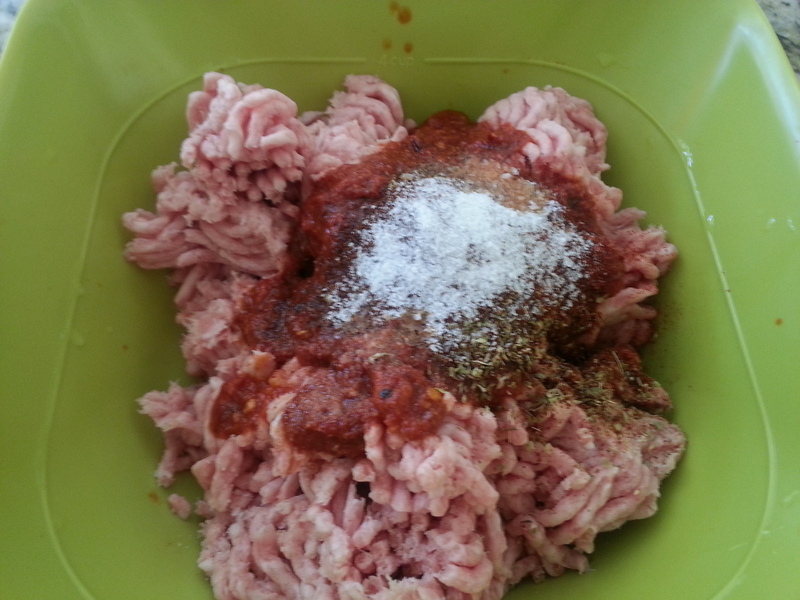 Remove to a plate. Cut and eat! 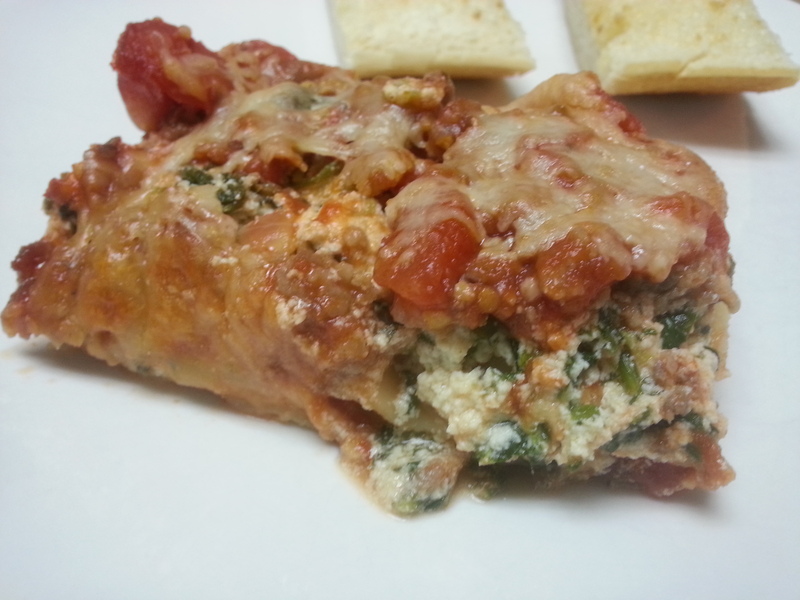 This is yummy with sour cream and salsa on the side. *Quick tip: I do not butter my tortillas at all. I know some people do this when they make quesadillas but I don’t. If you’re using non stick cookware, the quesadillas won’t stick and the heat is enough to crisp and brown them without the added calories of butter. If you don’t have non stick cookware, then use some cooking spray so the quesadillas won’t stick. I am not a vegan. Not even close to being a vegetarian. I’m a die hard carnivore! 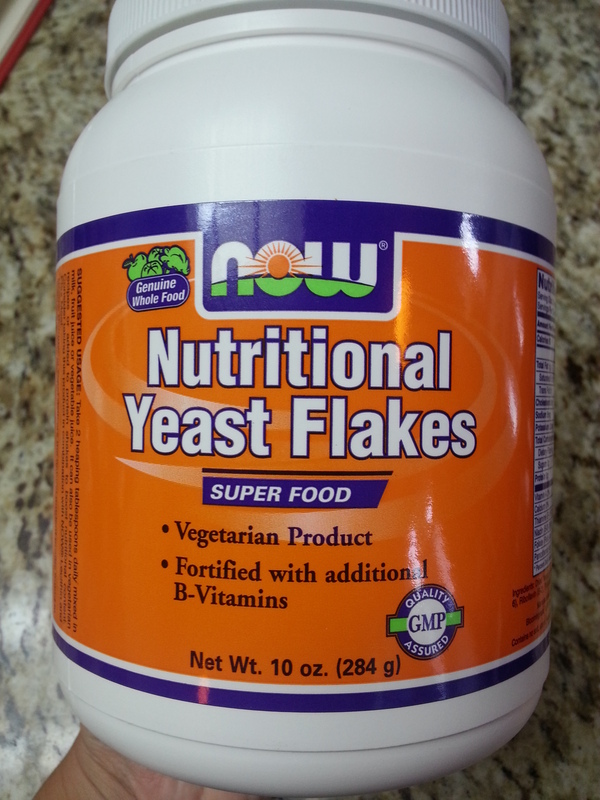 However, I bought some nutritional yeast because it was called for in another recipe and since the container is so big, I knew I had to find other ways to use it. A little dash of this, a little dash of that, and this vegan “cheese” sauce was the result. When I had my oldest daughter give it a taste, she told me she thought it was queso. Score! I have not divulged to any of my kids that this sauce actually has no cheese in it whatsoever. And my very creative husband came up with the name of it, since it in fact reminds us of cheese. I think it looks like hollandaise sauce with a cheese like taste. 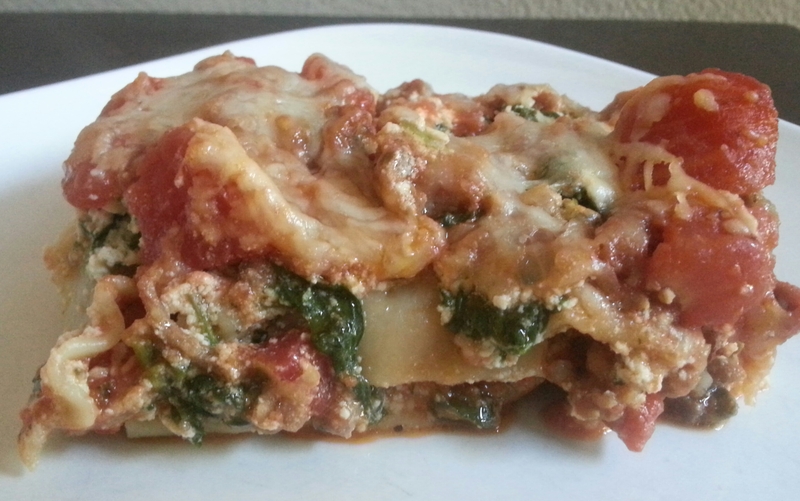 I used this sauce over steamed broccoli, which was very yummy. 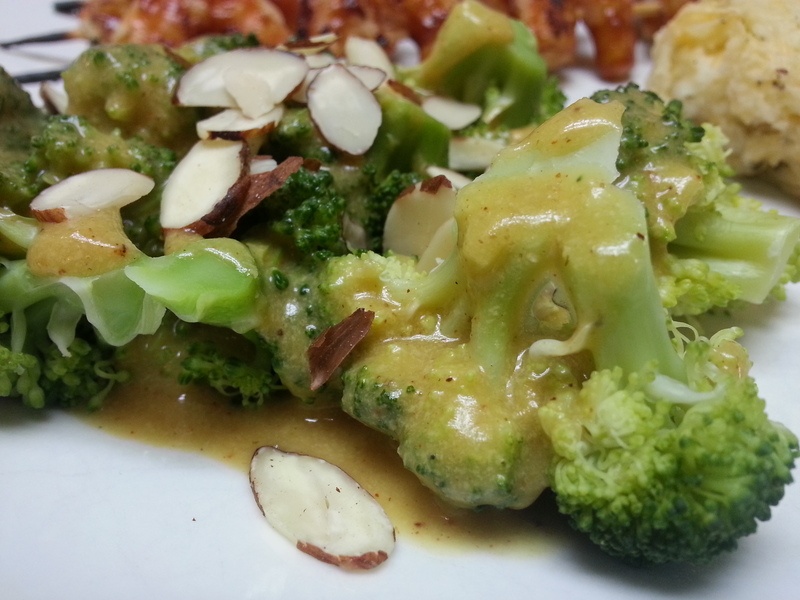 I’ve also made it and used as a sauce in a casserole of shredded chicken, rice, broccoli and almonds. YUM. In that case, I didn’t tell my husband I used nutritional yeast (he HATES the name and sound of it) and the whole time, he thought it was a cheese sauce over the casserole. Until I burst his bubble! 🙂 But I don’t want to give you the wrong impression. 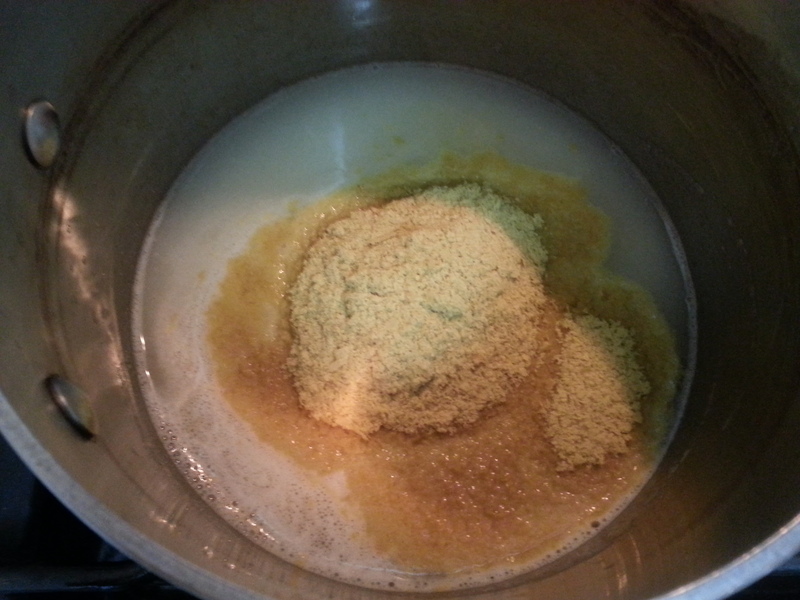 The nutritional yeast has a reminiscent “cheese” like taste, however, the actual flavor is very unique and hard to describe. 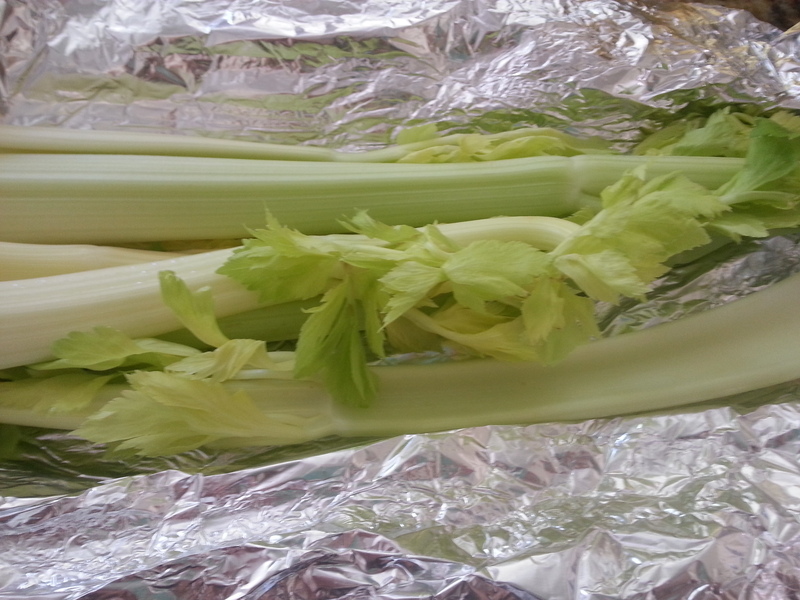 If you don’t want to go all out and buy a large quantity like I did, you can typically pick up a very small amount in the bulk section at your market. It also comes in powder form or in flakes. I went with flakes as I heard that they dissolve quicker. Heat a small saucepan over medium heat. 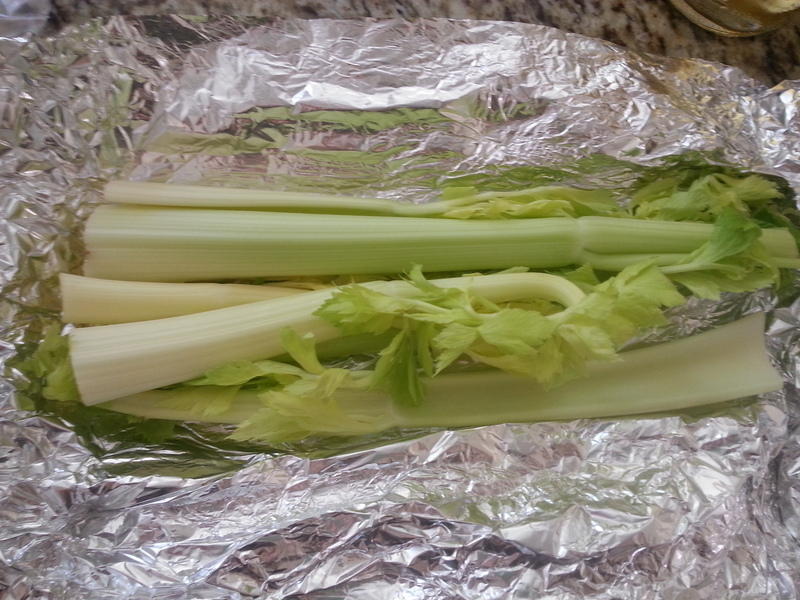 Add the butter/butter substitute and let melt. 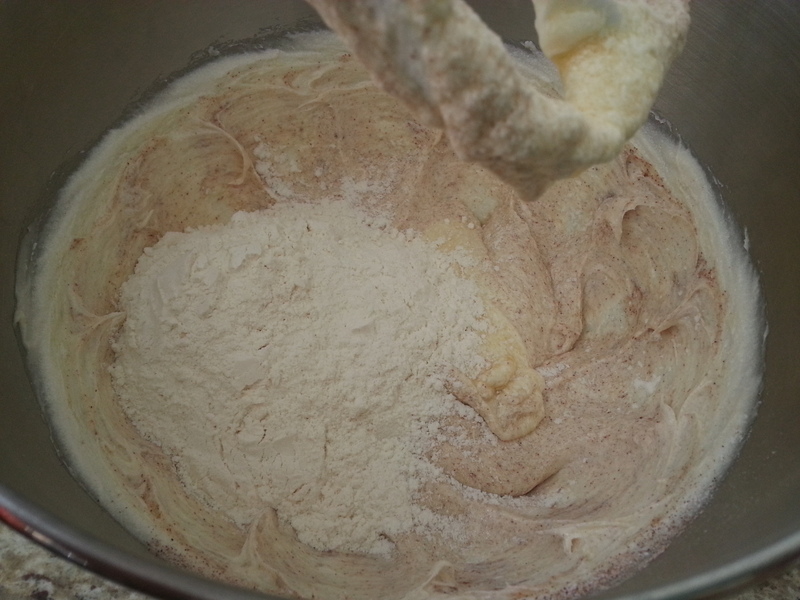 Add in the flour and whisk together, letting cook for about 30 seconds. Add in the rest of the ingredients and let come to a bubble. 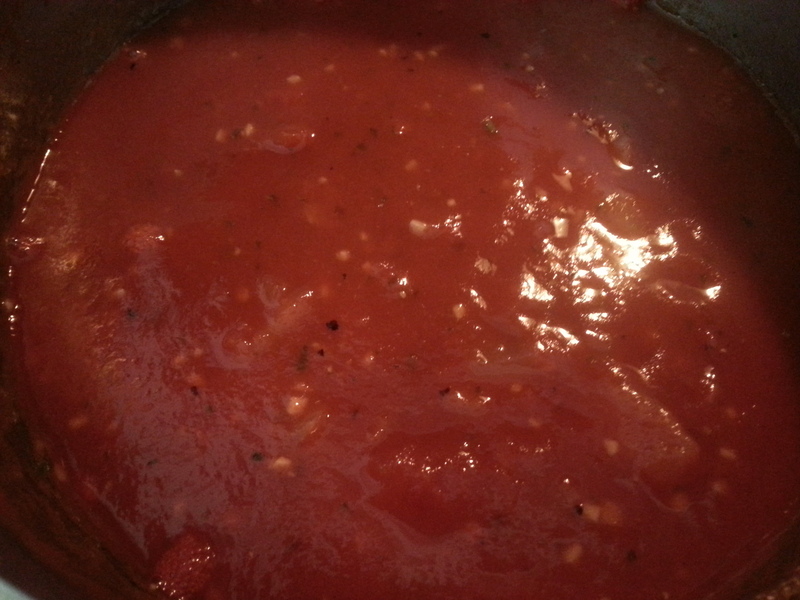 Simmer for a few minutes until sauce has thickened. Serve over steamed veggies. It also goes great with Mexican food too! 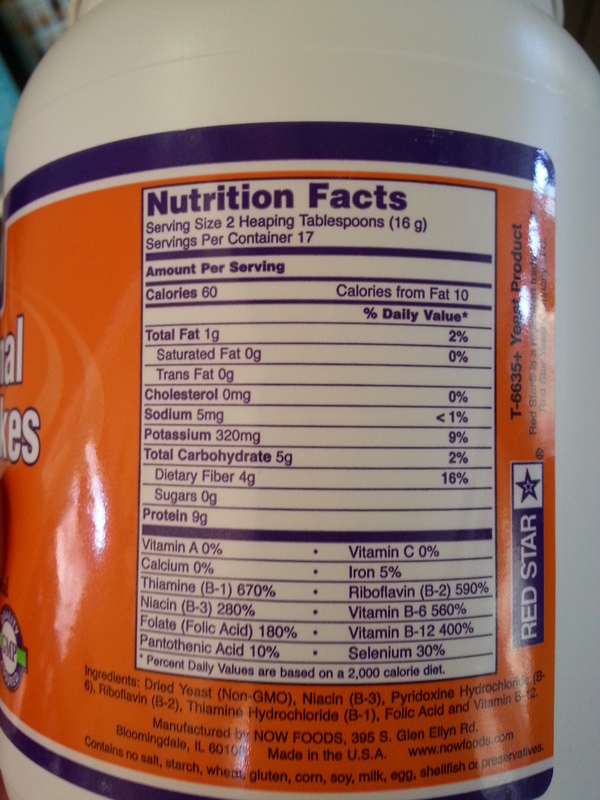 And check out the nutrition facts. This stuff has got some great healthy benefits!! What’s your Saturday morning breakfast like? Well in my house, my husband wants something hearty and that typically involves meat. Unfortunately for him, we’ve had a couple of recent weekends that didn’t include breakfast meat. But I promised him I would make a delicious breakfast that would wipe out all longings for bacon or sausage or whatever his carnivore loving heart desired. 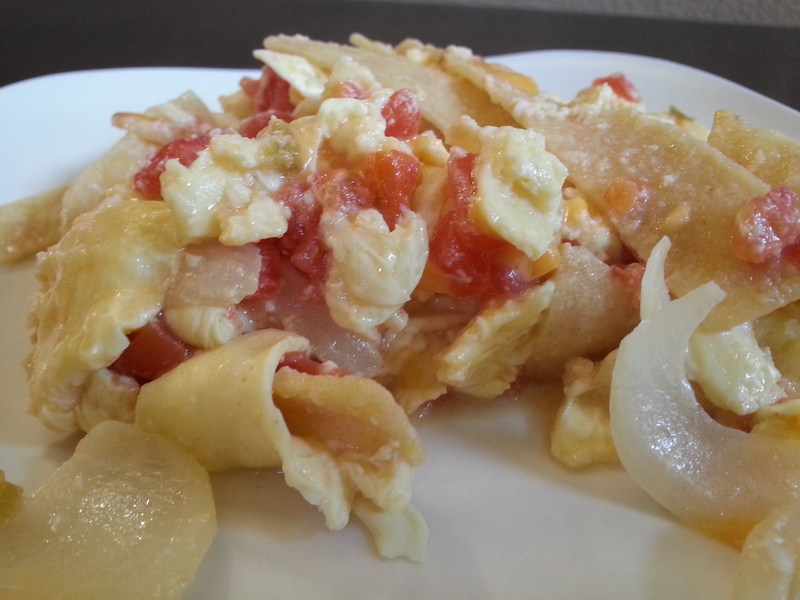 Enter…….. Chilaquiles! 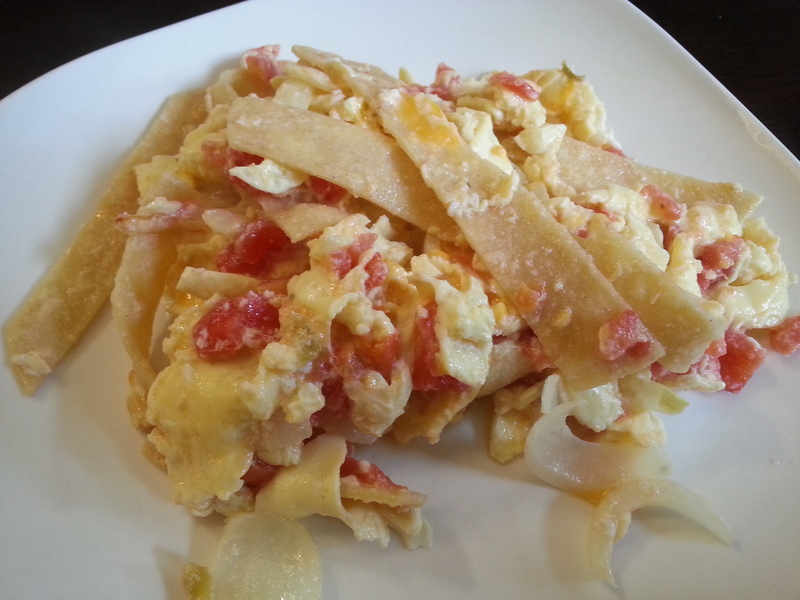 A Mexican breakfast that doesn’t include meat but that is filling, hearty and full of flavor. And I promise this will curb your Saturday morning bacon craving. Impossible you say?!?! 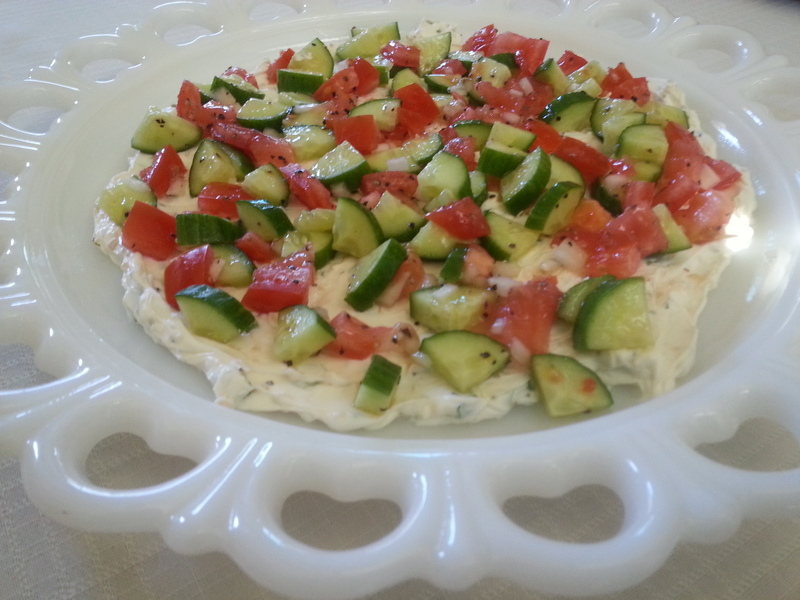 Make this recipe and see for yourself! *Tortilla chips can be substituted. If using chips, skip the first step of frying tortillas. In a large sauté pan, add oil and heat on medium high. 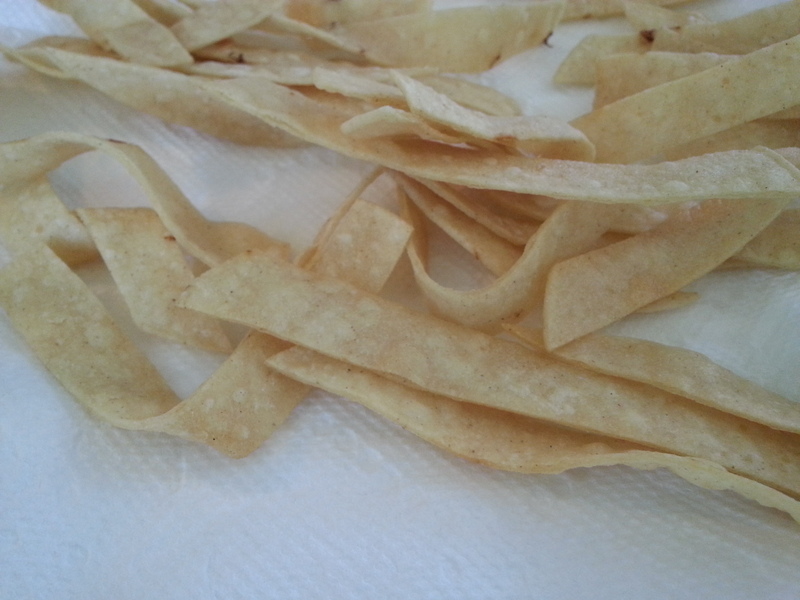 When oil is nice and hot, add tortilla strips and fry for about 3 minutes or until crisp (like a chip). 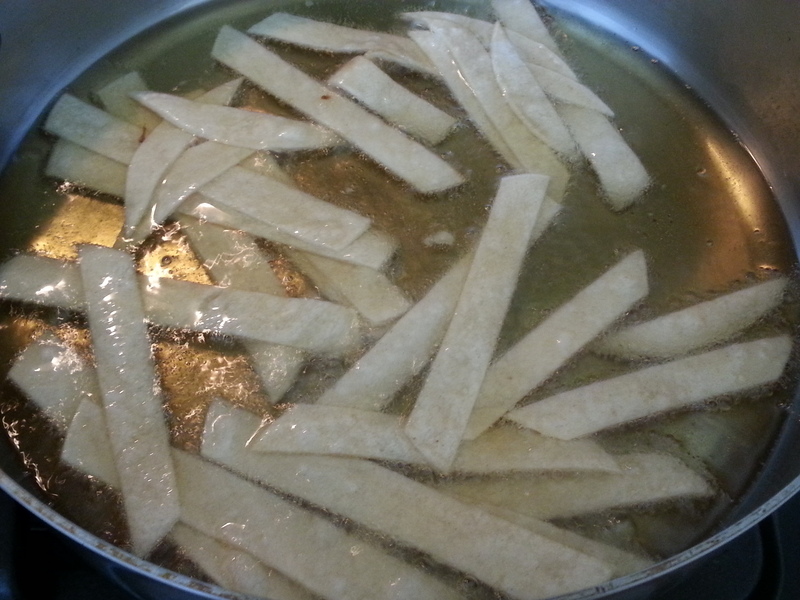 With a large slotted spoon, remove fried tortilla strips to a paper towel lined plate to drain. 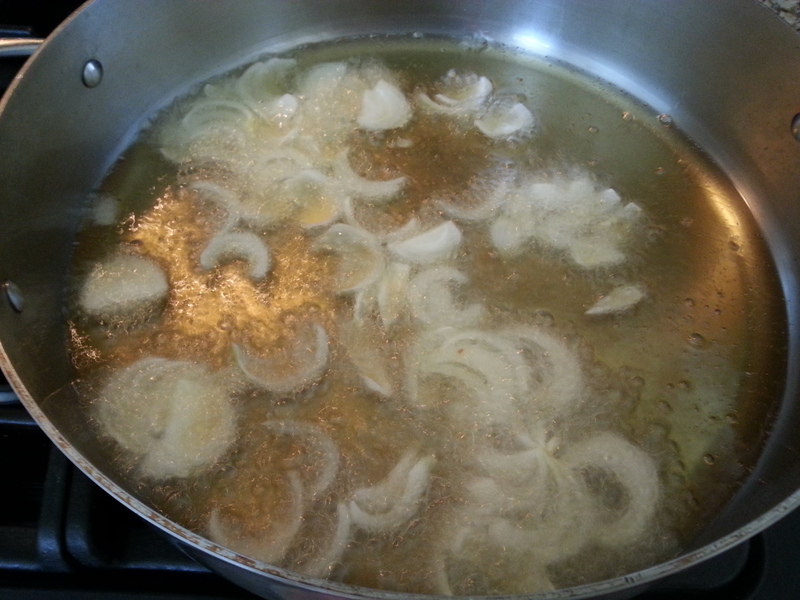 Next, add the sliced onions into the still hot oil. Fry for approximately 30 seconds. Remove onions with a slotted spoon to drain on a paper towel lined plate. Remove sauté pan from heat. 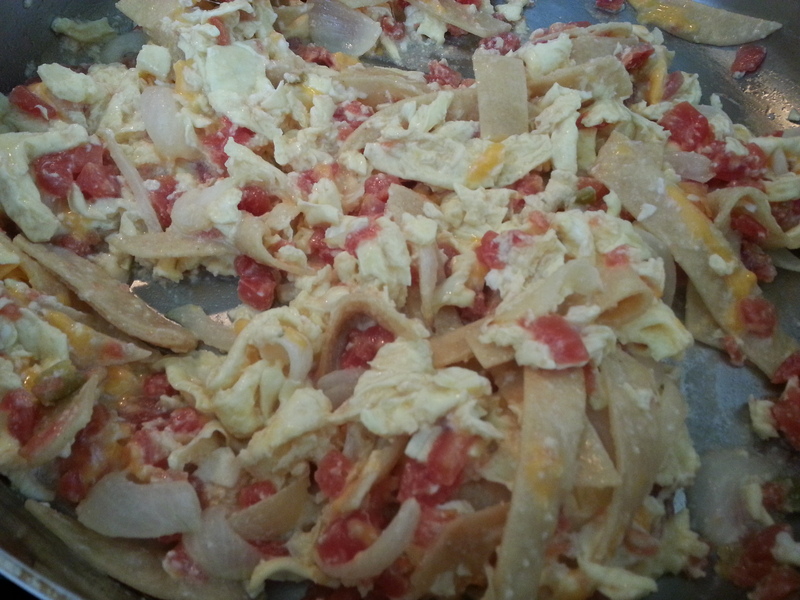 Crack eggs into a bowl and with a fork or whisk, beat/scramble the eggs. Set aside. Let oil cool down and then drain off all oil, except 2-3 tbsp. Turn the heat back on to medium. 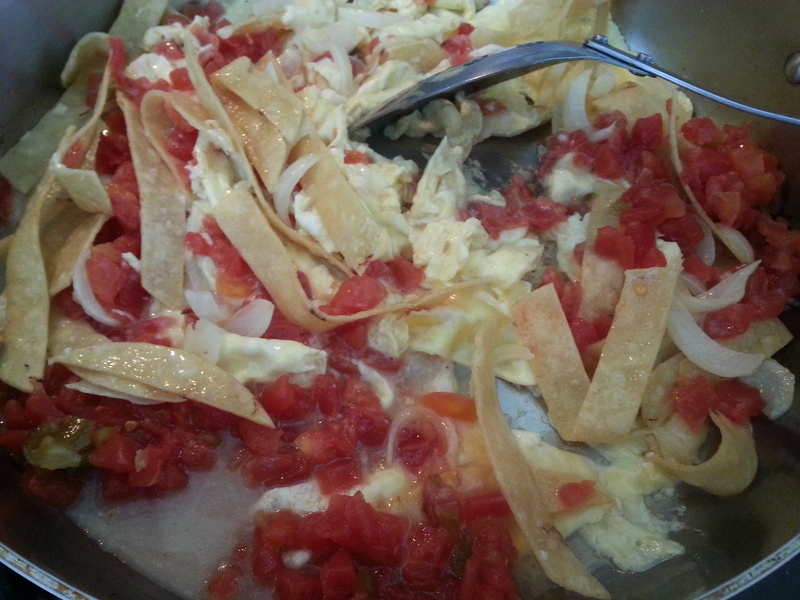 Add eggs and tortilla strips (or chips). Let cook for a minute, stirring. 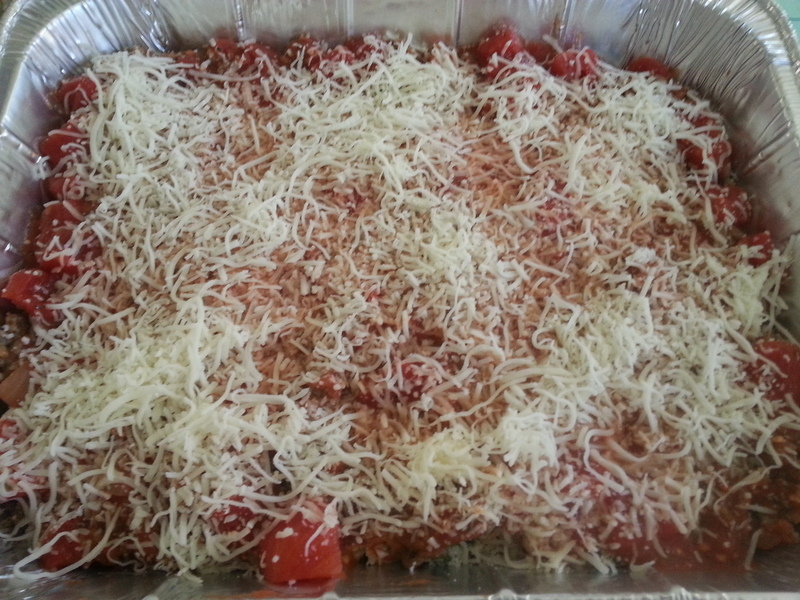 Then add in all of the rest of the ingredients, except for cheese. Cook for a few more minutes or until eggs are set. 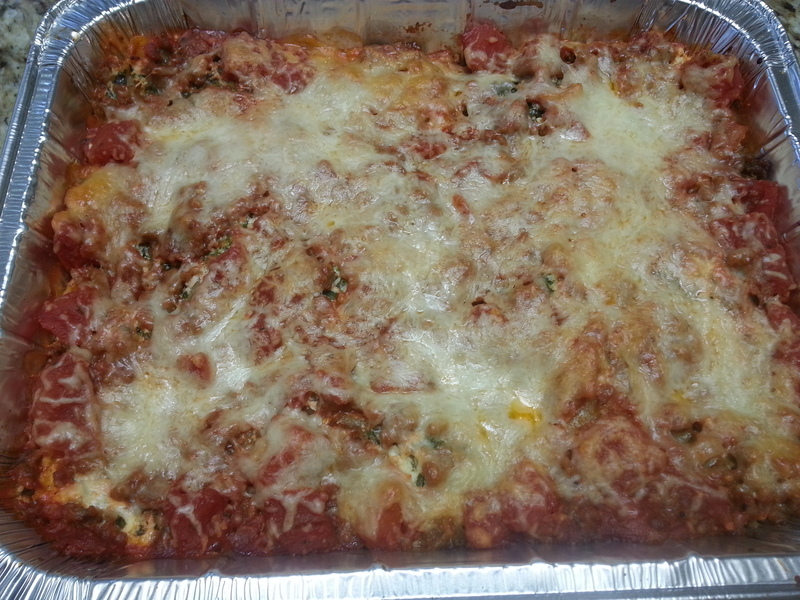 Turn off heat, stir in cheese and serve immediately. 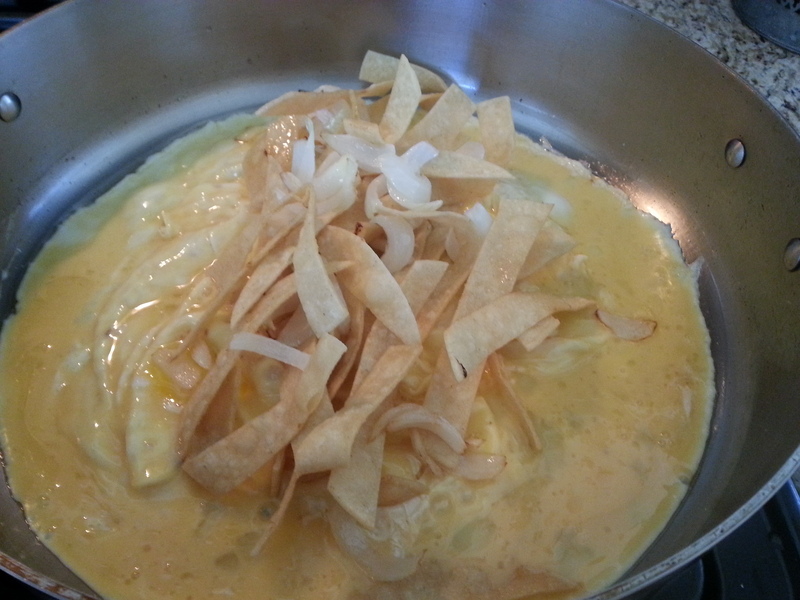 OK, I have to tell you that my two favorite components to this dish are the fried onions and tortilla strips. The fried onions have a great flavor. I mean, they were fried in oil. And usually anything fried in oil is good. Second, the tortilla strips get a little soggy from all the liquid in the recipe but still retain this unique texture. And I love it! So I think you can tell that I really liked this breakfast. But what did my husband think? Well of course he loved it or else I wouldn’t be putting it on my blog! So if you’ve got a Saturday morning, carnivore loving spouse like me, give them something new to try. I don’t think they’ll be disappointed.